Following guidelines for annual tests and exams can help active adults maintain a clean bill of health. Regular check-ups can help you stay healthy and catch potential problems early, especially as you age past 55. This often means seeing a variety of health professionals, and if you have any specific medical conditions you may also have to follow up with specialists. Staying current on health tests and exams can be the key to preventing problems down the road. Many medical practices are making it easier to track your exams and test results with electronic records. Yet you may want to keep your own records as well. It's a good idea to keep your most recent lab work, along with any abnormal test results. It's also helpful to keep a list of medications you have used, why they were prescribed and whether you had any adverse or allergic reactions to them. Healthy adults are generally encouraged to have an annual physical, an annual eye exam and see their dentist twice a year. Women should also have regular pelvic exams, either with a gynecologist or a family doctor. During an annual physical, you will likely be asked to fast overnight. Your doctor will use basic blood chemistry tests to check many different things including your cholesterol and lipids, glucose, electrolytes and liver enzymes. Depending on your health and your family medical history, there may be other tests for specific conditions. Once you reach your 50s, additional testing is often added to your regular physical. Women over 50 are at greater risk for thyroid problems, so your doctor may want to test your thyroid function (blood test). Older women are also at risk for osteoporosis and breast cancer. Your doctor may send you for a bone density test (DXA scan) and a mammogram. Both men and women over the age of 50 are encouraged to have a colonoscopy. This procedure will look for signs of colon cancer, polyps and other gastrointestinal problems. If the test is normal, you may not have to repeat it for up to 10 years. In between colonoscopies, your doctor may recommend preventative colon cancer screening tests. Depending on your health and family history, your doctor may recommend additional testing of your heart. Often a baseline EKG is taken at age 50. If you have additional risks, you may also have a CT scan or a stress test. 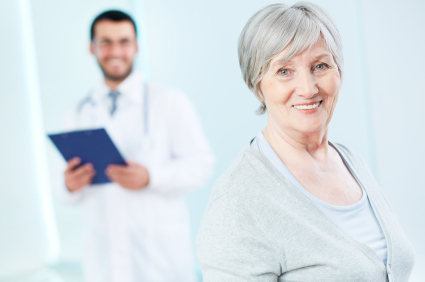 Women under the age of 65 should continue to have regular pelvic exams and pap smears, even after menopause. Regular screening can often catch cervical cancer in its early stages, while it is still treatable. Older men may want to discuss the prostate-specific antigen (PSA) test with their doctors. The PSA is a screening test which may detect prostate cancer in its early stages. However, experts may disagree on the value of this test, as it could potentially lead to invasive treatments for cancer cells that may not have ever caused harm. Along with blood tests and other screening exams, your annual physical checks for many potential problems. Your doctor will check your weight measurements, blood pressure, reflexes and skin, as well as look in your ears, nose and throat. You may also be asked questions about your sleep, your social life and your general mood, as a way to screen for signs of depression. Your annual physical is the best time to raise any questions or report any strange symptoms to your doctor. Regular check-ups and medical tests are part of healthy living and a great way to check in with your body.